If you own your own company, you’re no doubt familiar with the tremendous impact of your business’ space. Often this can mean leveraging the advantages that can come with relocating your business to a better facility or location. Every year, thousands of savvy entrepreneurs are attracted to the multitude of unique benefits, such as cost-effective rent and better market reach. You may also be considering relocation for greater access to skilled workers or to even improve the lifestyle of your current employees. Is your company seriously considering relocation? The very notion of transporting your entire business might be enough to stop you dead in your tracks, but you don’t have to go it alone. As San Clemente’s specialized movers with extensive commercial expertise, Coast Valley Moving will help make your transition is virtually painless. Over 40 years of industry experience — we’re local experts! 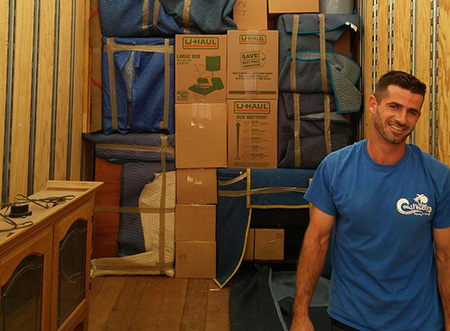 Trained and certified moving professionals — our movers have all the right credentials! Moving anything you throw our way — no matter the distance! Nobody understands how to move your business quite like we do. Our team members draw from decades of industry experience to ensure your most sensitive, fragile equipment travels safely across any distance. California businesses revere Coast Valley Moving & Storage because of our proven track record for safety — now it’s your turn to see why. In business, time is money. We respect your business and understand you need things back up and running as soon as possible. Our team is ready to execute — no matter the size of your business, we’ll rise to the challenge and deliver you on time. Don’t just hire any specialty moving company in San Clemente, hire the best. Why risk your business’ most important assets in the hands of anyone else? For a quality move, contact us today — call us anytime, we’re always ready to lend a hand.